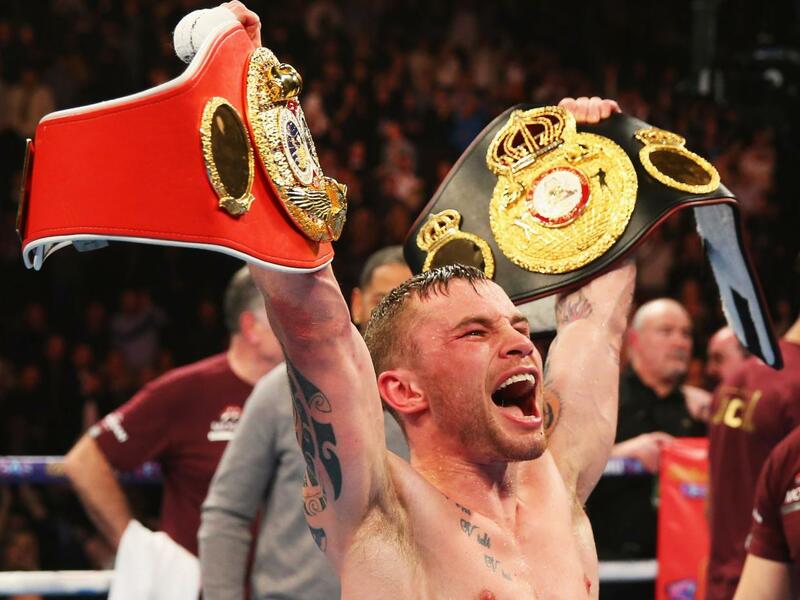 Northern Ireland’s Carl Frampton otherwise known as “The Jackal” has had a mixed 2017 which saw him lose his WBA Super Featherweight World Title in a rematch against Leo Santa Cruz and then 10 months later he fought and defeated Horacio Garcia in front on his home fans. Next up for Frampton is a four-weight world champion Nonito Donaire. Both fighters currently don’t have a world title but a win for either fighter should set up a world title fight next, so there is a lot at stake for both fighters at The SSE Arena, Belfast on April 21st. Frampton is respectful of Donaire and that challenge that lays ahead. Donaire is 35-years-old and at the later stages of his career, perhaps this is the right time for Frampton to face Donaire who was once a formidable fighter. “The people who are talking about the age of him or what are they talking about really? He lost a fight last year to a monstrous puncher Nicholas Walters, then he came back and won another fight. He’s in a similar position as me that he lost to a good fighter and he’s had a comeback fight like I did. Now, this is a fight that the winner, whoever wins goes on to fight for a world title – no doubt about it. Britain could potentially have two featherweight world champions. Scott Quigg could be a world champion soon if he defeats Oscar Valdez and Lee Selby defends his title against Josh Warrington thus keeping the title in UK. There are plenty of options out there for Frampton but defeat against Donaire would be devastating for his title aspirations in 2018. “Well, it’s definitely going to knock me back; it’s not going to do me any favours at all. But, I’m not thinking about that. “Obviously, Quigg fighting Valdez for a world title he could be a champion to be honest. I doubt it, I don’t think he’s going to beat Valdez but I think it’s one of the champions he could beat, it would be Valdez. Because I see that fight a bit of a shootout and both guys can punch and both have shown wee bits of vulnerability’s in the past as well. You never know but I don’t think Quigg will win. Frampton split from Cyclone and long-time trainer Shane McGuigan in 2017. He decided to choose Jamie Moore as his new trainer. “Jamie hasn’t tried to change me too much if I’m being honest. I’m 30 years old it’s not as if I’m suddenly going to change my style completely under a new trainer – Jamie understands that. “We’re working on things, there is no fighter that’s a perfect fighter and there’s things that need to be improved. “I think featherweight is my weight, super bantamweight was killing me. I know it’s only four pounds’ difference but featherweight is my weight and that’s where I feel I perform best. I think the performance of my career was the first one against Leo Santa Cruz and that was at featherweight – I think it suited me more. Obviously, it’s still a wee bit of a struggle and I missed the weight once but these things happen that won’t happen again in my career and I think I’m a fully pledged featherweight. Frampton wants his revenge over Santa Cruz and to prove he is the better fighter, but will the fight happen in 2018? Frampton travelled to America twice to face Santa Cruz. Frampton has been left disappointed that Santa Cruz said he’d come to Belfast or UK, yet he hasn’t fulfilled his promise. “I went to the States twice and he did say he’d come to Belfast or the UK – yeah, that’s not going to happen. I don’t think he’s going to come to Belfast. It’s a little bit disappointing he isn’t a man of his word. The fight the British public are eager to see is Lee Selby vs Carl Frampton. The fight for one reason or another has failed to materialise leaving boxing fans disappointed. “It could potentially be a huge fight. Again, I’ve only got one opponent on my mind at the minute and that’s Nonito Donaire. I’m sure Lee Selby is in the exact same situation with Josh Warrington. We’re thinking about one fight; it’s important to do that, you can’t look too far ahead. A stadium fight in the summer could be Frampton’s next fight as he looks to push on from a disappointing 2017. “I think even Warrington if it comes off. There’s big fights and if we do it at the right time of the year I think a world title fight against anyone, we could sell out Windsor Park I’ve got a fanatical fan base and I’m very proud of it. Frampton has ambitions of becoming world champion in 2018 and shared his plans. Underdog Louis Fielding Set To Spring Surprise?